The contours of Sicily—the largest island in the Mediterranean—were shaped by millennia of seismic activity from Mount Etna. Europe’s tallest active volcano is also what makes Sicily’s grape-growing terroir distinctive and the soil mineral-rich for yielding gorgeous citrus fruits. 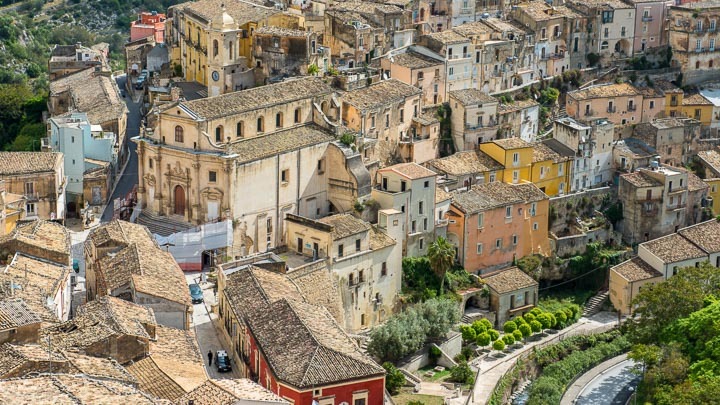 While Sicilians have stayed close to the land by cultivating their lemon and almond orchards, they’ve also erected marvelous man-made examples of Baroque architecture, Greek temples, and Byzantine mosaics that mingle against a dynamic setting of cyclist-sating volcanic massifs. Any scheduled tour can be made private. Your group, your dates.